Over the last few years the Tories have been completely thrashed on social media. During the 2017 General Election there wasn't a single pro-Tory article in the top 25 most shared articles on Facebook, and since the General Election by far the most viral Tory tweet is Ben Bradley's grovelling apology for writing defamatory comments about Jeremy Corbyn, rather than anything that casts them in a good light. The Tories know that they're getting thrashed on social media. They know that the Tory brand is increasingly toxic to the under-50s, and that they only really appeal to the hard-right ultranationalist Blue-kip demographic, and that Labour's 500,000+ membership equates to a voluntary army of online campaigners they haven't got a hope of competing with. The Tory solution to this situation is quite extraordinary. Instead of devising policies that actually appeal to the younger generations, their Chairman Brandon Lewis has announced his plan to lob a load of cash at the problem by hiring huge numbers of paid Twitter astroturfers to spread pro-Tory propaganda. This Tory astroturfer strategy is useless for a number of reasons. One of the main reasons this strategy stinks is that people are very much more likely to engage with a political post from a friend, family member, or a famous person they admire, than with the posts of fake @ToryBoy28783654 type propaganda accounts, so the Tories are going to be paying out significant amounts in wages to people who will have far less natural reach than genuine Labour campaigners. Another problem is that widespread public knowledge that the Tories have hired an army of astroturfers will seriously delegitimise the social media postings of genuine Tory supporters. The existence of the Tory astroturf army will create the suspicion that genuine Tory types are just paid social media mercenaries, rather than people who genuinely believe in what they're doing. Another problem for the Tories arises from the election expenses rules. 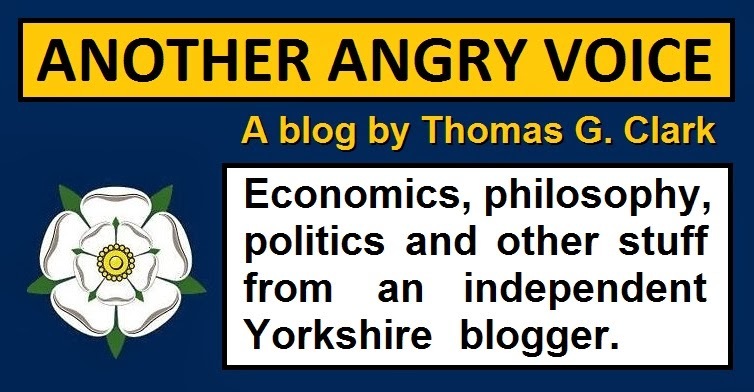 If any of this mercenary army of Tory astroturfers promote specific Tory MPs during election periods, then their wages should surely be classed as local election expenses. 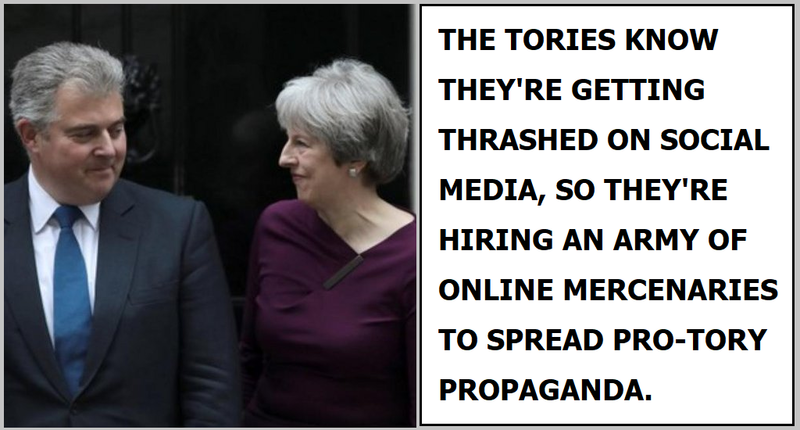 If the Tory astroturf mercenary army are to comply with the election rules, there needs to be transparency about who these people are, what they're being paid, and which social media accounts they're operating. A lack of transparency would allow the Tories to bypass election expenses rules, but transparency would wreck the whole project, because what's the point of running a load of fake pro-Tory accounts if everyone knows that they're fake accounts? Additionally there's the Russia thing. It's a well established fact that Russians have been using "bot farms" staffed by paid propagandists to interfere in other countries' elections. In fact the Tory MP Damian Collins has been probably the most vocal MP in attacking Facebook and Twitter for their inadequate responses to questions about Russian meddling. The fact that the Tory Chairman is suddenly proposing that the Tories use the exact same shady "bot farms" and astroturfing propaganda tactics as the Russians in order to influence political debate creates a very strong impression that the Tory party is a ridiculously contradictory shambles, where one hand literally doesn't have a clue what the other is doing. Then there's probably the most obvious problem of the lot. If you have so little natural support that you need to pay people to campaign for you, you quite obviously don't have any policies that are actually worth campaigning for. How thick does Theresa May imagine students are?